A Democratic senator outsourced parts of the investigation into possible Trump-Russia collusion to a former Senate staffer with links to George Soros and Fusion GPS, according to a new report. The New Yorker reports that the unidentified senator contacted Daniel Jones, a former Senate Intelligence Committee staffer, around March 2017 to review data regarding a possible link between the computer servers of the Trump Organization and a Russian bank called Alfa Bank. Jones, who worked under Dianne Feinstein when she chaired the Intelligence panel, had just formed a non-profit group called the Democracy Integrity Project. The organization worked closely with Fusion GPS and former British spy Christopher Steele, the tag-team duo that produced the Democrat-funded dossier accusing the Trump campaign of colluding with the Kremlin. Jones’ operation was also funded by a small group of billionaires, including left-wing philanthropist George Soros. Jones told the FBI in March 2017 that between 7 and 10 billionaires had put up $50 million to continue an investigation into Russian meddling in elections. The goal was to provide the information to lawmakers, the press, and the FBI, he said. Allegations about Alfa Bank and the Trump Organization first surfaced in an Oct. 31, 2016 article published by Slate’s Franklin Foer. The article alleged that servers for the two companies were secretly communicating with each other, possibly as part of a back channel communications system related to the election. The article received heavy criticism from cybersecurity experts and tech reporters who said that the server communications appeared to have an innocent explanation, such as spam or mass marketing email traffic. According to The New Yorker, a handful of Democrats have pursued the Alfa Bank theory. One was Virginia Sen. Mark Warner, the top Democrat on the Senate Intelligence panel. A second Democratic senator was also exploring the angle, and approached Jones. Do you think this is something to be concerned about? Jones, who also runs a consulting firm called the Penn Quarter Group, hired two teams of computer scientists to analyze web traffic from the Alfa Bank and Trump Organization servers. The experts, who have held top cybersecurity jobs in the White House, Pentagon and intelligence services, were unable to definitively say that the server communications were part of a back channel communications system with the Trump campaign. But according to The New Yorker, they believe that the server communications could still have been part of a nefarious operation, as initially described in the Slate article. The New Yorker article also raises questions about why Democrats would seek out Jones to conduct an investigation into the servers’ activities. Details of Jones’ operation were first revealed by Adam Waldman, a U.S.-based lawyer for Russian oligarch Oleg Deripaska. A close ally of Vladimir Putin, Deripaska had also previously hired Steele for work on a legal case. Steele had been in communication with Justice Department official Bruce Ohr regarding Deripaska’s visa to the U.S. The New York Times has reported that Steele and Ohr were part of a U.S. government operation aimed at flipping Deripaska. Waldman told both The Daily Caller News Foundation as well as the Senate Intelligence Committee that he met with Jones on March 17, 2017. 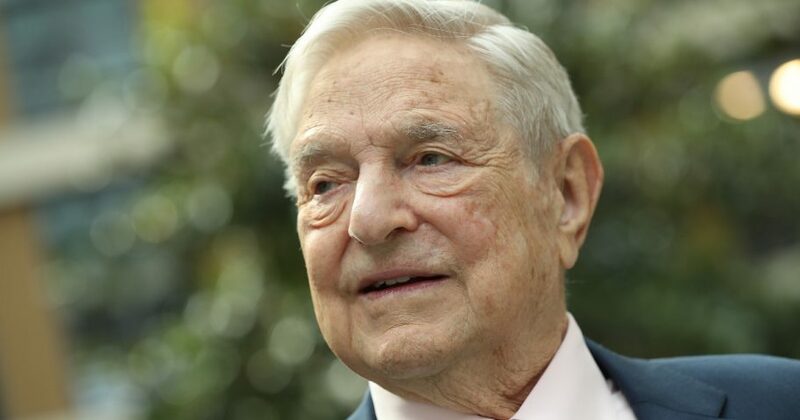 During the meeting, Jones told Waldman that Soros was one of the financiers of the Democracy Integrity Project’s investigation. He also said that Fusion GPS was involved. A spokesman for Soros recently confirmed Soros’ involvement, telling Washington Post columnist David Ignatius that Soros’ indirectly funded Fusion GPS through the Democracy Integrity Project. Jones also suggested to Waldman that his team of investigators were behind several anti-Trump news articles. “Our team helped with this,” Jones said in one message to Waldman seen by TheDCNF. The link was to a March 17, 2017 Reuters article about Russians investing more than $100 million in Trump properties in Florida. For his part, Foer, the Slate reporter, appears to have received the Alfa Bank information from a lawyer from the firm that hired Fusion GPS on behalf of the Clinton campaign and DNC. According to a report released in April by the House Intelligence Committee, Michael Sussmann, a partner at the firm Perkins Coie, told then-FBI general counsel James Baker about the Alfa Bank server activities.